On being asked to set out the development priorities for Southern Africa, it seems unlikely that many would put place "helping facilitate the understanding of legal positivism" very high on the agenda. Yet recently we last year we were invited to Namibia for exactly this purpose. . Of course, in our own cases it might (rightly) be thought that we don't have all that much else to offer. Still, it was an extraordinary invitation and, thus, one we could not turn down. Furthermore, we came to see that discussions in jurisprudence - the philosophy of law - have great importance for social and political development throughout Africa and are relevant to wider questions about social and political development in Africa, just as they are elsewhere. Many law departments encourage their students to consider the question, "What is law?" by making jurisprudence a compulsory course for their undergraduate students. The University of Namibia (UNAM) takes this approach and in August 2008 we traveled to Windhoek to run a two-day conference, hosted by Manfred Hinz, on jurisprudence for the fourth year law students at the University of Namibia (UNAM). Teaching jurisprudence is a paradoxical activity: despite being a highly specialised field that looks at a very specific question - namely, what is the nature of law? - the subject cannot be properly studied without a good understanding of a wide range of ideas from philosophy and other disciplines. For example, natural law theories appeal to a set of ideas drawn from metaphysics, theology, science and ethics. The sociology of law, our second topic at the conference, demands familiarity with a number of sociological methods and a wide range of historical sources, as well as ideas from political science and international relations. Finally, while the debate between Hart and Dworkin starts with a good dose of analytical philosophy, it soon encompasses a discussion of the methods of literary criticism and other interpretive disciplines. The breadth of the subject is most likely a consequence of the way in which law and the legal process are now pervasive throughout modern societies. It is perhaps also the reason why an understanding of jurisprudence turns out to be relevant to questions of social and political development. Two examples that stood out during our discussions with the students are these: first, whether there is such a thing as an African natural law tradition and therefore a distinctive African jurisprudence; second, how to judge between the competing claims of customary law and constitutional law. In Europe the natural law tradition starts with the ancient Greeks, who noticed that while there were variations in the laws and customs of the various different Greek city-states, so too there were many underlying consistencies. From this observation they concluded that some laws were natural, meaning that they did not change from people to people, or from place to place. This idea was polished by Cicero and then passed on to the Christian theologians, reaching its fullest expression in the work of Aquinas: when God created nature he also created the rules or laws by which it is governed. By the use of our powers of reason we can learn these natural laws, which we can then use as the basis of our legal systems. The Dutch philosopher Hugo Grotius argued that even if we reject the theological basis for natural law, these laws themselves were sufficiently evident to reason for us to feel obligated to follow them. This step allowed natural law theory to survive the Enlightenment's assault on religious belief, and to continue to flourish up to our day as a secular theory of law and obligation. Is there an African tradition of natural law and if so how does it compare with the European tradition? In part this is an empirical question: what evidence is there among the various tribes and peoples of Africa that, despite differences in language, custom and religious beliefs, there are identifiable similarities in their basic legal precepts? This is not an easy question to answer since there is a widespread lack of documentation of the customary laws of African tribes, and it is not clear how much reliance we can place on oral traditions in determining the beliefs and practices of these tribes in centuries past. Even if we could establish sufficient clarity with regard to the customary laws of a reasonable range of different tribes and peoples, we would still need to determine what counts as evidence for shared legal precepts. So, for example, if one tribe recognises matrilineal succession and another tribe recognises patrilineal succession, do we judge that these two tribes are radically different in their view as to how succession should be managed through the generations? Or do we judge that they both share a strong belief in the importance of succession as a principle of social organisation, but a minor variation exists in the form that this succession takes? Let us assume, for the sake of argument, that we can identify some legal precepts that are widespread, perhaps even ubiquitous in African customary law. Does this establish the case for the existence of natural law in Africa? Some African philosophers have argued for a distinctive African jurisprudence, different from that which has evolved in Europe and North America, claiming that African jurisprudence is better suited to the needs of contemporary African societies. But the desire to show that natural law exists in Africa and the desire to establish a distinctive African jurisprudence run counter to each other: the former asserts the universality of legal precepts while the latter asserts their particularity. If we thought that European natural law and African natural law were radically different, that would imply that Europe and Africa are not just different places (which they clearly are) but also different types of place, which is much less obvious and much more controversial. It makes no sense to argue in favour of the idea of natural law and then to limit its scope to only one part of nature. It follows from this that while a study of African customary law should help to amplify and refine the contents of natural law, it is unlikely to establish a separate body of law unique to Africa. In Namibia, as in many other parts of Africa, customary law continues to play an important role for ordinary people, by setting the framework of behaviour that the law expects of them and, in return, what protections they can expect from the law. This role is today increasingly under challenge from the growing importance of constitutional law. The contrasts between customary law and constitutional law are clear. Customary law is ancient, it has been established by habit and shared practice, it is speedy and accessible, and it is able to exert its influence from the bottom up through the network of households that make up each tribal grouping. By contrast, the constitution is recent, has been established by legislative process in national parliaments, is often slow and hard to follow, and is imposed top-down through the judicial system. Unsurprisingly there are many cases where customary and constitutional law come into conflict, two of which we discussed at the conference. The first example concerns an individual's right to gather fallen wood (an issue that Karl Marx was much exercised about in Germany in 1842). Customary law protects living trees from being felled because they are crucial to the maintenance of the character and quality of the pastoral farmland. However, dead wood is available for anyone to collect and use as firewood. Fallen wood is common property and can be gathered by anyone. Under constitutional law, wood within enclosed farmland is recognised as the property of the landowner, whether live or dead. It is privately owned even as it falls to the ground. Since (in Namibia) constitutional law trumps customary law, so too the rights of the landowner now trump the rights of the wood gatherer. Our second example concerns polygamy (something Marx appears to have been less exercised by, although Frederick Engels discusses it in The Origin of the Family, Private Property and the State). African customary law frequently allows for polygamy - normally one man with multiple wives - and there are economic and social reasons that explain why this tradition has persisted up to the present day. In some African countries legal protections have been introduced to regularise polygamy, for example by giving all wives in one marriage defined property rights. However, human rights groups have argued that in Namibia the practice of polygamy often provides cover for the forced marriage of teenage girls in direct contravention of their constitutional rights. A theory of jurisprudence that is relevant for Namibia today must be able to provide a credible solution to the competing claims of constitutional and customary law in cases such as these. In a community where customary law is strong there is likely to be resistance to the introduction of constitutional law if it disrupts traditional patterns of property ownership, resource use, and family life, since these are fundamental to the way of life of the community. However, some community members will welcome the introduction of constitutional law if it affords them and their property greater legal protection from the interference of others. There are plenty of Namibian lawyers who are already working on answers to these questions. Soon they will be joined by some of the students from our conference as they leave UNAM for careers in the legal profession. Judging from the enthusiasm, the critical skills and the inventiveness that they brought to our discussions, their answers will be worth listening to. Meanwhile we will be back in Windhoek next summer, teaching another group of law students, but this time also helping to facilitate another conference that will address the wider development priorities for Southern Africa over the next ten years. 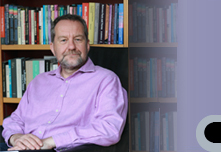 Mark Hannam is an honorary research fellow at the Institute of Philosophy, University of London. Jonathan Wolff is professor and head of the department of philosophy at University College London.